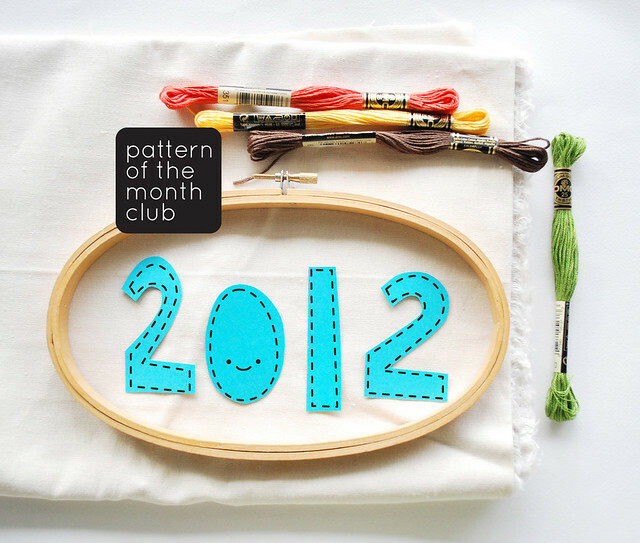 In 2011, I started my first ever Pattern of the Month Club! It has been so much fun that I decided to continue it for another year. Yay! This time around, most of the patterns will be available to everyone, but being part of the Club means a bonus pattern, a bigger discount on patterns, early release of the patterns, and perhaps a surprise or two. Membership registration is available now in my Etsy shop or below through PayPal. 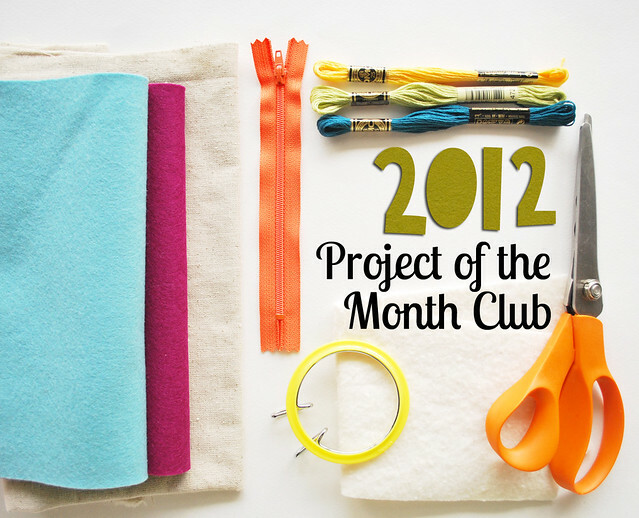 This year, I'm very happy to announce that I'm also adding the Project of the Month Club! Members will receive a newly designed project PDF every month...it's a bit like a subscription to a year-long crafting class! 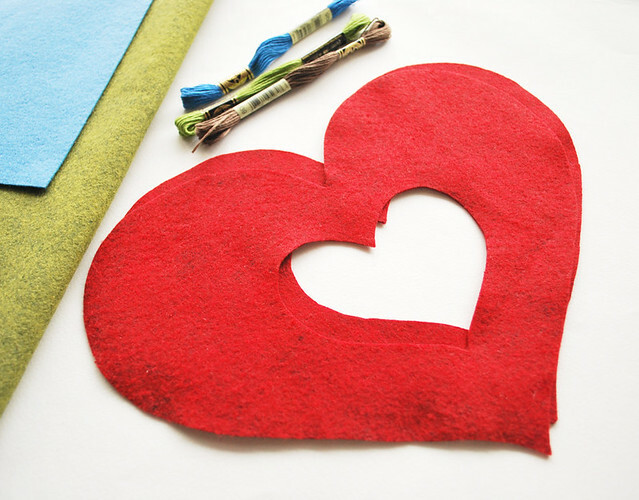 All of the projects use simple, inexpensive, easy-to-find materials, and are on a beginner/intermediate level. 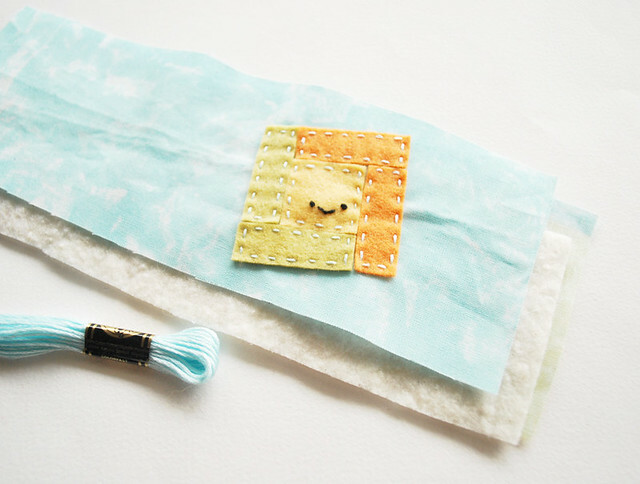 There will be a bit of embroidery, applique and hand sewing, and each PDF will have pattern pieces and a full step-by-step tutorial with plenty of pictures. I've made sure that each of these projects has a distinct "Wild Olive" feeling to them, incorporating cute characters with sweet faces. They include a travel wallet, friendly clipboards, a celebration banner, dress-up dolls, and more! Read more about the Project of the Month Club in my Etsy shop, or use the PayPal button below to sign up now. I might also point out (hint, hint) that Club Memberships make excellent gifts. They bring crafty joy all year 'round! If you're interested in giving one of these for Christmas or another occasion, send me a note letting me know, and we can set up the gift subscription for you! I'm really, really so excited about both of these clubs! They are just one of the many things that I'm looking forward to in the upcoming year, and I hope that they bring as much excitement to you as well! I'm interested in your pattern of the month club but I don't like sending out my credit card info on line and don't have a apypal account. If I were to send you a money order would that work?